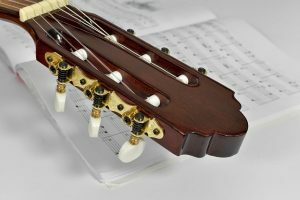 After buying a guitar, it is unlikely that you will be able to play it straight away after unboxing, even if it is an acoustic one which requires no amplifying or effects. You will most likely have to tune it, set up the action and maybe change the factory strings, which are usually of poor quality. Soon, you will find yourself limited, and you will want other items – a pick, a strap, new strings, a microphone, and others. The category known as guitar accessories groups all these items you need to play, apart from the guitar itself. However, we will not include elements such as amplifiers or processors in this list, as they could be integrated into a somehow different category of must-have products for an electric guitarist. The items listed below are usually considered as essential for guitar playing and are used frequently by almost all guitarists in the world, regardless of their experience or the genre they play. Most of them are inexpensive devices which will make your life easier and allow you to expand your playing horizons. Strings are the primary thing you should never forget to purchase. Even if your guitar is delivered with high-quality strings, these will eventually break – nothing lasts forever when talking about them. When it comes to strings, what matters is the material used for making them and their gauge. Acoustic guitar strings are wound with 80/20 bronze or phosphor bronze, the latter having a more warm and mellow sound when compared to the bright sound of the first ones. Electric guitar strings are usually made with the same materials – here the gauge will matter. 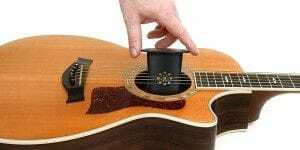 The lower the tuning you are playing in, the larger the diameter will have to be to avoid wobbly, bad-sounding strings. Those that play the classical guitar will have to look for nylon strings – these can be found at almost all instrument shops. When changing the strings, you will have to retune your guitar once done. You can do this by ear, or you can use a tuner. Electronic tuners are widely available and come at meager prices. Some can be downloaded as smartphone apps, and they cost next to nothing. Their accuracy is lower when compared to a specialized gadget; the latter usually come in two variants – handheld or clip-on. The latter can be attached to the head of the guitar, telling you the note you are playing by analyzing the neck vibration frequency. Another necessary accessory is the pick – if you do not want to play only by fingerpicking, you will need one. There are more materials and thicknesses available, and you will have to try with several models before deciding which one is best for you. Usually, a thinner pick is recommended for those who want to strum chords a lot. After buying a pick, you might consider having a pick holder, but the latter is not necessary. The last thing on this first part of our list is the guitar strap. Learning how to play while standing up is an essential skill, even if for the moment you do not plan on doing this. Usually made from textile materials, the guitar straps are adjustable to allow you to handle your guitar at a height you are most comfortable with. There are heavy-duty, expensive leather guitar straps available too, but even professionals rarely use them. Guitars, either acoustic or electric, are large instruments which can take up a lot of space when stored horizontally. You can have them leaning against a wall, but it is unsafe – any wrong movement could take them out of their precarious state of balance, and you can end up scratching or even breaking the thing. To avoid such things, you can purchase a guitar case or gig bag. These will protect it against dust, humidity, and scratches, allowing you to store them under a bed or on a tall shelf. However, if you play daily, taking it out and putting it back in will be an extra effort. In this situation, a guitar stand is recommended. They come in many shapes and variants. The most common one is a tripod with a long piece which holds the neck, while the body of the guitar rests on two bars covered with a soft rubber or textile material which prevents scratching. There are wall hangers available too, but these require you to drill a hole in your wall. However, they are safe and even handier than the tripod-shaped ones. Guitar cables will only be necessary if you have a guitar with a pickup which can or must be plugged into an amplifier. The wires are usually pretty similar, and all you have to pay attention to is the end (its configuration can vary – straight or 90-degree angle) and its length. Once you are experienced and start recording or demand a pristine sound, you will have to go for the more expensive shielded guitar cables. String winders and cutters are accessories aimed at increasing your comfort while changing strings. They are not vital, but they can reduce the time it takes to perform this task. Inexpensive, these items can be found everywhere – the string cutter can be replaced by any pliers which have a cutting edge. 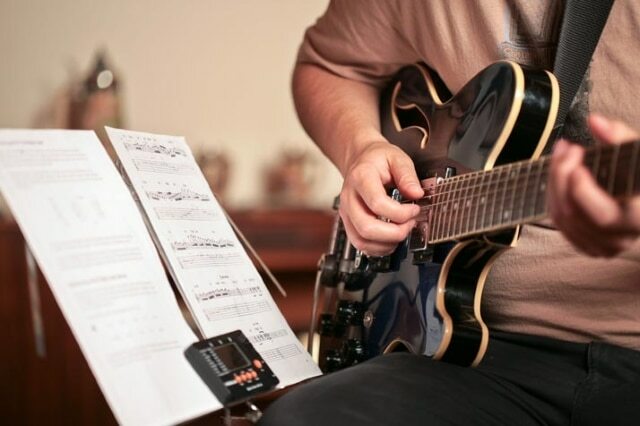 Capos are used to transpose a song, making it easier to play different tunes while using the chords you are already used to. Seldom employed by electric guitar players, they are trendy amongst acoustic guitarists who strum a lot of chords. It can be easily placed on any guitar fret thanks to its coil spring system. This item is inexpensive, with most varying between 5 and 15 dollars. However, you have to pay attention to its quality, as going too cheap will give you a product that cannot be adequately used – it will not apply equal pressure, and an annoying buzz will be heard when playing. Many more accessories can be found, and each has its purpose. Our list only covers the most popular and widely used ones, those you will surely need not only as a beginner but also as you advance and become more and more experienced. You might want to take a look at the top-rated models we found in the effect pedal category, if you’re interested. You will always find something new, as the market contains a wide variety of products, and new models are being developed each day.